(BUSINESS WIRE) (Dusseldorf, 22.10.2013) Nikon puts in Germany the full-frame imaging in the focus and concentrates trade and communication activities on its strong portfolio of powerful FX cameras. Driven by the demand of an ever wider audience has increased significantly over the past year, the share of FX full-frame segment in the overall market for digital SLR cameras. The company wants to exploit the existing growth potential in this segment even more and increase the fascination for the full-frame imaging on. Marketing Communications & Branding the Nikon GmbH: "It is increasingly the owners of digital SLRs of the middle class , who are interested for higher standards of photographic cameras and suitable equipment. We want to use this potential and bring consumers together with our trading partners the topic FX Photography closer . We want to show them what opportunities are available with this type of photography and how much fun taking pictures can prepare with an FX camera. Nikon therefore committed to continuously develop the imaging market . We achieve this through more product innovations and an even closer cooperation with our partners in the photographic trade." FX stands for the full-frame Nikon. And the decision to make no more compromises. In short: perfect images in any situation. Due to the design, the high resolution FX full-frame image sensors are superior to the smaller image sensors in two essential points: the dynamic range and image design. More dynamic range means finest image detail drawing with high brilliance and clarity even in high contrast pictures with lots of light and shadow as well as extremely low noise even when using high ISO sensitivities. The advantages of image design result on the one hand by the larger precipitates viewfinder and therefore better control over the photo and the other by a highly accurate depth of field control, with an attractive discontinuation of the subject of the image background more targeted is possible. The effect is simply a lot more fun when shooting at a significantly higher level of quality. The current portfolio consists of FX camera the Nikon D610 , the Nikon D800 and D800E its sister model without low-pass filter as well as the Nikon D4. Focusing on FX photography involves extensive communication activities (in print and online ) as well as a strong POS presence to increase brand recognition at point of sale . In addition, the activities also include special measures for the camera retailers , the Nikon regarded for its high quality advice as an important partner to make the FX full format photography for consumers more tangible. There will be a total of 7 FX NIKKOR a CASHBACK action that granted consumers discounts of 60 to 200 euros. In order to benefit from the refund, the buyer must during the promotional period 01.11.2013 - 31.01.2014 only follow the instructions in www.nikon.de/CASHBACK. To convince yourself of the quality of the Nikon FX cameras, consumers will also have the opportunity to use the Try and Buy Program at participating retailers. This program provides Nikon participating merchants, a rental set the Nikon D610 and the Nikon D800 including matching lenses available that traders use for Leihstellungen and thus can support their clients in the purchase decision process even more. In addition, purchasers of FX cameras can get to enjoy a free voucher for attending a workshop on the Nikon FX- school to learn photography and FX FX camera technology more intensively at participating retailers. Detailed information about the benefits of the FX full-frame imaging to Nikon's FX models as well as the CASH BACK action can be found on the 01.11.2013 on the special FX microsite www.nikon - FX.de. Also here is the information then available, which traders participate in the Try and Buy Program. 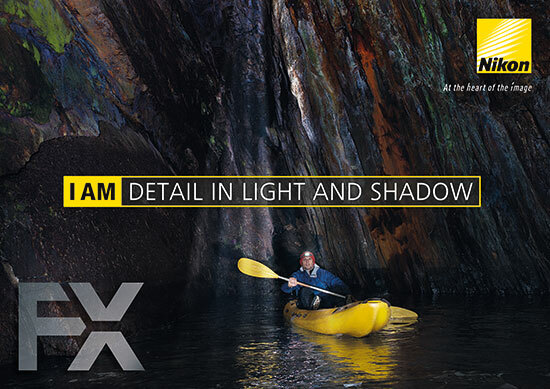 This entry was posted in Other Nikon stuff and tagged press release. Bookmark the permalink. Trackbacks are closed, but you can post a comment.